Every summer, my family spent a few days at a friend’s vacation house on the Gulf of Mexico. To me, they were the most lavish people we knew. It didn’t matter that there were crab traps and wheel barrels lining the stairway to the house, that the kitchen had outdated, chipped linoleum floors and there was no air conditioning. Honestly, it was one step away from camping, but as a child, I didn’t notice. It was a summer home. We spent long summer days carefully treading the shallow, murky Gulf floor, making sure we didn’t cut our feet on the backs of rigid oyster shells. We spent hours crouching in the water, grinning from ear to ear as we surfaced beautiful oysters. We tossed them in a galvanized bucket, and once the pail was filled to the brim we brought it over to a picnic table that was perfectly perched at the end on the dock. I watched as one of the older boys took a small, sharp knife and slowly pried the shell open, jiggled the oyster free and handed it to me. The oyster slid to the back of my throat like a sweet yet salty egg yolk. Roped to the dock were a dozen or so crab traps. We gently lifted the traps and carried any unfortunate captives to the kitchen, being careful not to trip on any flotsam and jetsam on the way up the stairs. The women prepared the seafood and all the trimmings while the men gathered the propane tanks and large silver pots outside. In no time the salty, summer air was bursting with Cajun spices, and we sat down to a great boil. As the sun began to set, the scent of spices became a faint memory, and we began scooping out servings of thick, creamy, black-speckled homemade vanilla ice cream. We sat on top of the wooden picnic table at the end of the dock, kicking our legs, watching our reflection on the water. I placed my hand on the table, tracing the initials I had carved into the weathered wood, making sure I treasured this moment as my childhood summer days started melting away and fading faster than ice cream in the hand of a child on a hot summer’s day. 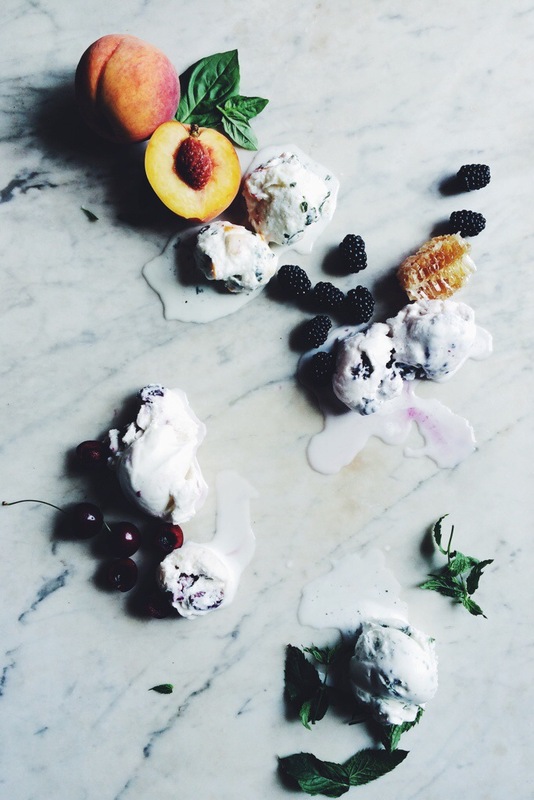 I had such a wonderful time creating One Summer Ice Cream Five Ways for Relish including Vanilla Bean, Backyard Mint, Blackberry + Local Honey, Dark Cherry + Amaretto, Georgia Peach + Basil! Hope you enjoy! In a medium saucepan over medium heat, combine milk and sugar. Stir occasionally until the sugar completely dissolves and tiny bubbles form around the edges of the pan. Take off the heat, and add the salt and vanilla seeds along with the vanilla pod to the milk and sugar mixture. Allow to steep and cool for at least 10 minutes. Whisk in the heavy whipping cream and discard the vanilla bean pod. Cover and place in the fridge for a few hours until completely chilled, at least 2 hours. Transfer the base to an ice cream machine and freeze according to the manufacturer’s instructions. Transfer to a container and let ice cream set completely for at least 2 more hours. Using an ice cream maker, add the chilled ice cream base to the machine and freeze according to the manufacturer’s instructions. Once the mixture has thickened, add the chopped peaches and basil. Once the machine has finished, scoop the ice cream into a freezer proof container and freeze for at least 2 hours. Enjoy! Using an ice cream maker, add the chilled ice cream base to the machine and freeze according to the manufacturer’s instructions. Once the mixture has thickened, add the blackberries and drizzle in the honey. Once the machine has finished, scoop the ice cream into a freezer proof container and freeze for at least 2 hours. Enjoy! Using an ice cream maker, add the chilled ice cream base to the machine and freeze according to the manufacturer’s instructions. Once the mixture has thickened, add the cherries and amaretto. Once the machine has finished, scoop the ice cream into a freezer proof container and freeze for at least 2 hours. Enjoy! Using an ice cream maker, add the chilled ice cream base to the machine and freeze according to the manufacturer’s instructions. Once the mixture has thickened, add the fresh mint. Once the machine has finished, scoop the ice cream into a freezer proof container and freeze for at least 2 hours. Enjoy! Gorgeous pictures and words. Makes me want to find a summer home somewhere along the Gulf and spend the rest of my summer there! Thanks for the kind words! I loved my summers in Louisiana (minus the scorching weather!) I had such sweet memories there! I hope you are having a lovely summer. It sounds like a perfect time. I’d love to be there. I saw your pictures and pinterest and I knew it was yours. Amazing work! Thanks so much! You are too sweet! It was funny whenever I was taking these shots, I had my loft freezing so that the ice cream wouldn’t melt so fast. I even placed ice packs on my marble surface! I just came across your blog and love it. 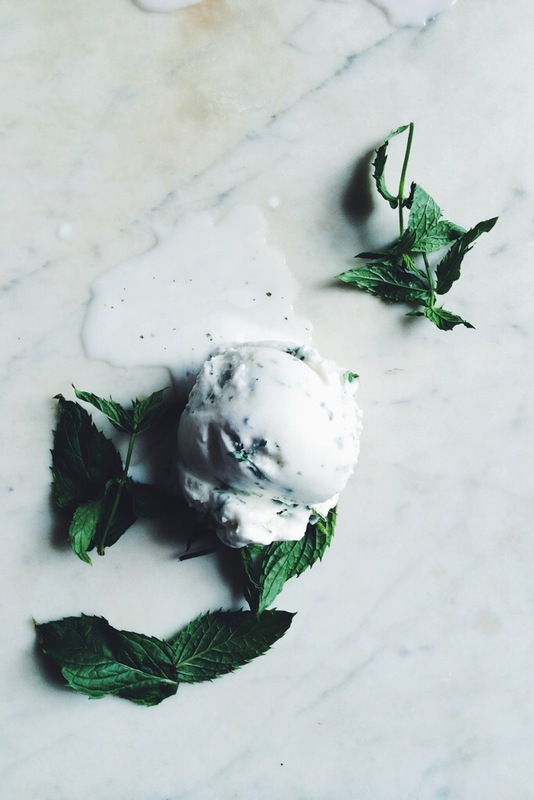 Ice cream is so yummy in the summer. I had Italian gelato today. Germany has some lovely Italian cafés . I hope to try out some of your recipes when I return home. So happy you stumbled upon this space! 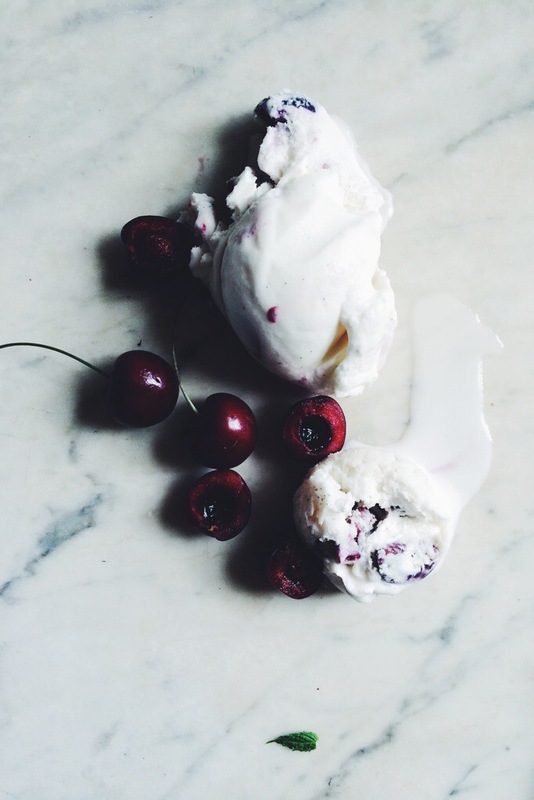 Ice cream is the best summer treat. I’m not usually one for sweets, but one scoop of any of these flavors a day has become a summer afternoon ritual! Sweet childhood memories. Those are truly special ones so thank you for sharing them with us, Amber. These ice creams look fabulous! 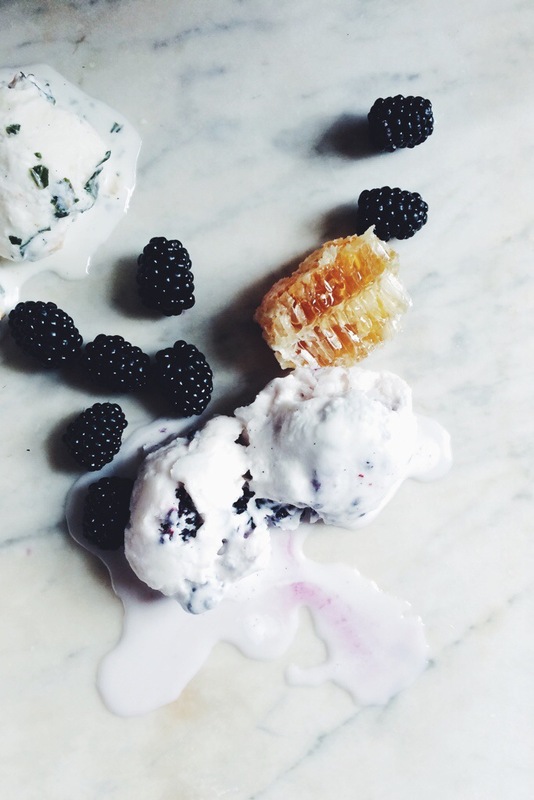 A summer without ice cream – unimaginable. Awww thanks so much, dear! You are so sweet! I love being able to share these memories with y’all, and I’m particularly excited about sharing these summer ice cream flavors! Hope you are having a lovely summer! I couldn’t agree more! You’re so very welcome!